Snow Peak Tableware Dish. 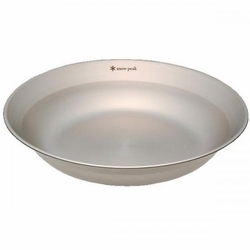 Made of stainless steel these beautiful dishes are easy to clean, store and use both indoors and out. Dimensions: D 8.2" H 1.5"